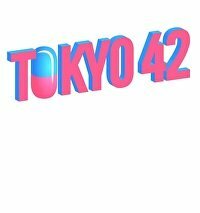 Tokyo 42 handed me a gun in the first few minutes and told me to have at it. That’s a damn good way to start a game. The minutes that follow are just as compelling. You—as in you, the player—need to get acquitted of a murder you didn’t commit by digging further into the criminal underbelly…by murdering. The over-the-top Tokyo inspired sci-fi world drags you even further into its depths of depravity. 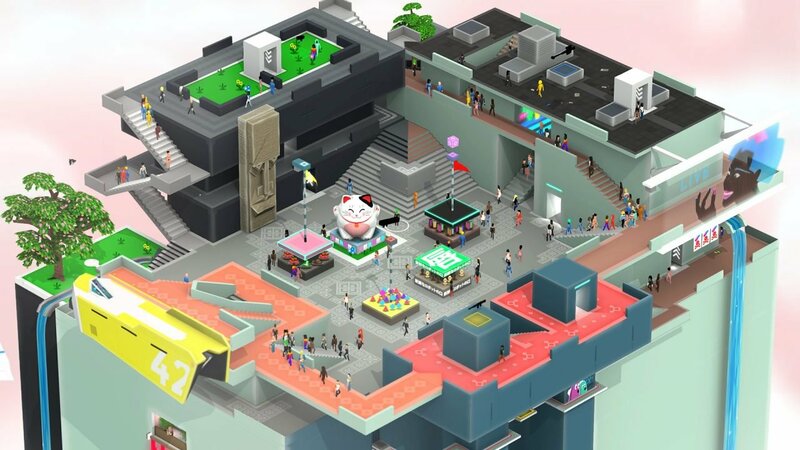 Tokyo 42 leverages this premise into the form of a top-down shooter. With both melee abilities and long range guns like sniper rifles, you’ll need to simultaneously dodge and shoot, which can be a lot to parse when there are tonnes of on-screen bullets. It all works equally well with a mouse/keyboard or a gamepad, with some concessions for both (aiming is a little easier with a mouse, but swapping isometric perspectives is much simpler with a controller). For the most part, all of it works. The floaty jump and infinite fall distance allow for some amazing getaways (and a good system of traversal), but there are a few minor issues that can be ironed out with patches. When swapping to a new floor, the perspective can change for no reason, then back again if you exit said floor. It’s also hard to tell when a few weapons are out or actually active. Your katana (the marquee stealth companion) is brandished and carried behind the player when equipped, but it isn’t “ready” until you’re holding it above your head. It’s misleading, which is a bigger issue when you’re so zoomed out you can barely see your character. Because deaths happen instantly, this flaw led to more than a few screwups and the camera shift issue creeps up on you even when you’ve totally forgotten about it. Stealth is enhanced a bit with a Splinter Cell-esque “you were here” silhouette to inform players where enemies last saw them, and the power to swap skins to escape. There’s even a dedicated “put on a duster” button, the first outfit of which is a direct reference to Blade Runner. The Ridley Scott film gets quite a bit of play in fact because while a poppy Japanese aesthetic dominates the screen, the headshots and menus are modelled after the anachronistic neo-noir streets of LA. 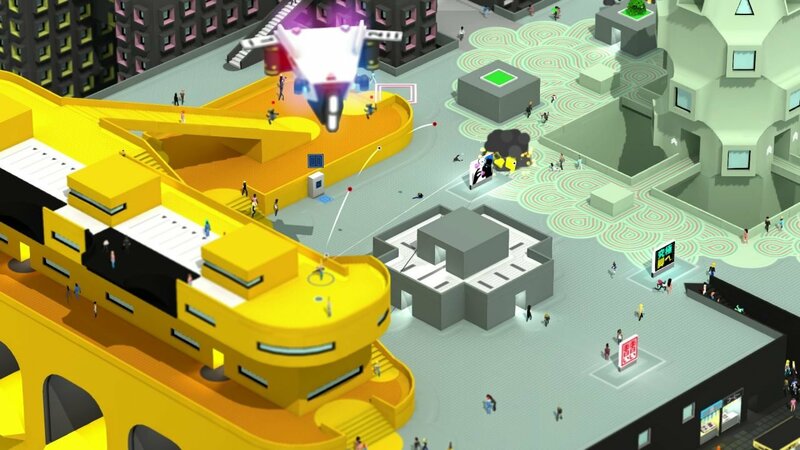 But for all this style there isn’t much to Tokyo 42‘s shooter conceit outside of some clever use of arenas. You basically just move from target to target, area to area, and devise ways to kill folks. Occasionally you’re forced to do it a certain way to complete an objective (like use a grenade) or kill everyone involved, but after several hours of grinding out VIPs you might want to take a break or go on some side missions. Missions, mind, where you may need to break through some of the gates to progress. There’s some ingenious level design to help alleviate this repetition though. Towering pagodas amidst puzzle platformer skyscrapers work far better together than they should, and the feeling of using stealth to roust enemies from a tower and use it to snipe a VIP never ceases to be fun. Fast travel also helps avoid boring backtracking, and every so often you’ll run across a really cool idea—like pitting organizations against each other or having to beat a fellow assassin to a kill. 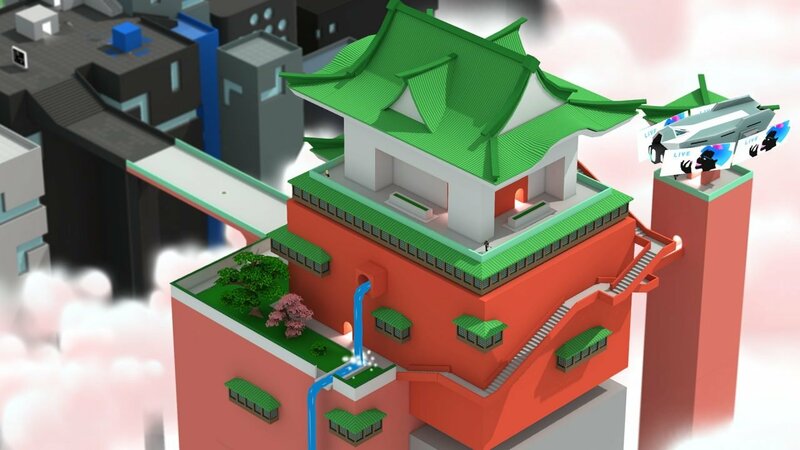 Tokyo 42 has a multiplayer angle but it’s kind of at odds with the natural flow of the game. I haven’t had the chance to test out many matches, but those I did were pretty standard shooter fare. With options for online matchmaking, private play, and a LAN mode you may have to wrangle up your own crew. 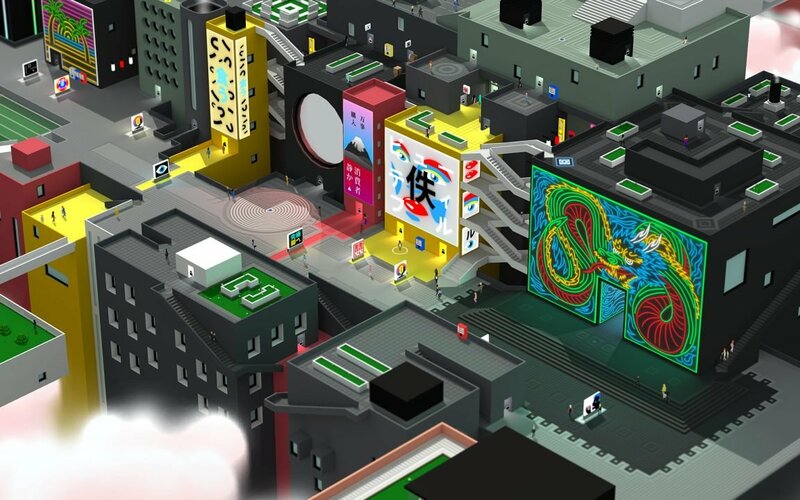 Over time I started to become comfortably numb to Tokyo 42’s charms, but the world remains compelling even when the story runs its course. I’d love to see this exact same concept in a different universe, perhaps with some tweaks here and there and a better focus. An isometric shooter with a ton of style, and a lack of complexity that works in its favour.